We’re all familiar with the ever popular Pareto Principle reference…also commonly referred to as the 80-20 rule. The principle states that roughly 80% of the effects come from 20% of the causes. When it comes to closing monthly cycles of business in the leasing and equipment finance industry, it’s not uncommon for companies to close nearly 80% of their monthly business in the last 20% of the month! For better or worse, being overwhelmed with peak volumes of transactions at the end of the month has become the rule and not an exception. So, what does that mean for leasing organization? Clearly, processing such a large portion of the monthly business in only a few days presents some of the following of operational challenges. Peaks in the number of transactions probably means that operators and analysts are overburdened in order to process an extraordinary number of transactions in a short amount of time. Perhaps, they are working overtime adding costs and eating up margins. Further, staff may neglect other critical tasks that delay projects and create bottlenecks in the normal course of business. If these end-of-month resource constraints aren’t a problem for your business, you may have another problem on your hands. You might be overstaffed for the other three weeks of the month! 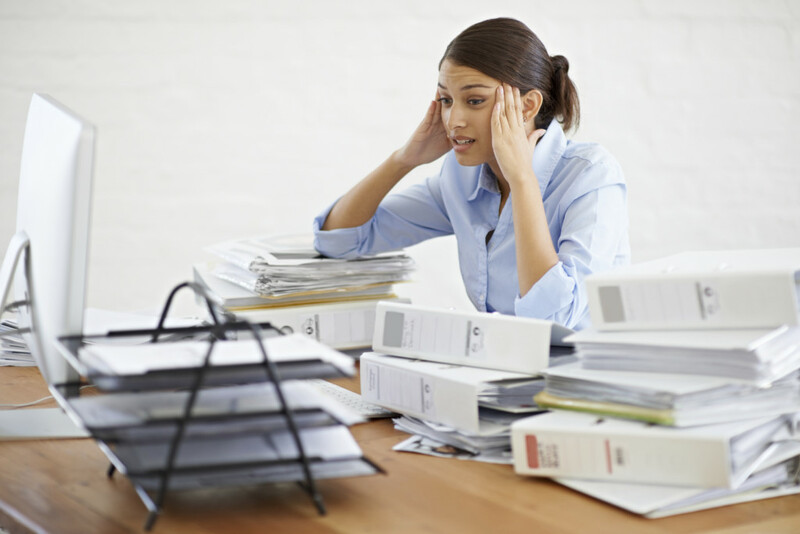 There’s plenty of research that indicates that workplace stress leads to less productive employees. When your team is diligently cramming, crunching and working in overdrive to meet month-end deadlines, it is likely to decrease the quality of their work and increase the likelihood of errors. A missed document, data point, or dotted line can at best slow down the workflow and require work being repeated and at worst go undetected and wreck havoc on downstream processes or create liability. Finance companies implement policies and procedures and checks and balances for a good reason – to stay within the guidelines of their established risk thresholds. To get through the mountain of end-of-month funding deals, there is a great temptation to disregard standard operating procedures and cut corners in order to meet monthly goals. This temptation exists across departments and up and down the organizational hierarchy. Entities often end up funding transactions prior to having fully reviewed and vetted it. They may even skip or defer (until post-close) normally required steps, such as skipping verbal confirmations with the end-user or waiting to input asset-level details from invoices until the following month. This can sometimes result in not only failing to follow one’s own procedures but also the procedures or expectations of partners, investors, boards, and/or regulating bodies. This has the potential to impact risk, customer invoicing and accounts receivable, property tax compliance, end of lease disputes, and much more. There’s not much we can do to change the fact that much of the business will occur at the end of the month. What we can change is how we manage the workload. It’s surprising how many companies have outdated processes riddled with redundant, irrelevant, and otherwise unnecessary tasks that technology can easily replace. MTS Software Solutions offers document and data management solutions to eliminate several of these manual and time-consuming tasks. The following features and functionality can reduce your overhead as well as the burden of closing month-end business. Below are some ways you can make the end of the month far less stressful for your organization. Despite all of the technology available, many companies require employees to collect paper from a fax machine, or manage transactions in manila file folders, or even have to open each email and manually review each email attachments. What’s worse, those that are receiving documents electronically are sometimes printing those digital documents in order to work on a transaction (e.g. key data, make notes, share internally, etc.) and subsequently scan the document back into their systems to resume the document workflow. With the right technology and process improvements, ALL of these redundant and time-consuming steps can be eliminated. Often, documents come in throughout the month, but nothing is done with them until all the final documentation is received. Scanning documents as they are received not only helps reduce the month-end logjam, it also gives management greater opportunities to gain insight into the status of an account, what could delay funding, and/or load balancing issues. If you have no choice but to receive paper documents, you can do so throughout the month so that it doesn’t all have to be done when the business needs to close. You can also outsource your document scanning requirements to MTS. We offer day-forward business processing outsourcing to promptly deliver digital documents within strict SLA requirements. Of course, if you can keep the documents in a digital format throughout the life-cycle of the transaction, you’ll be in much better shape than having to repeatedly print and scan. We offer Enterprise Content Management (ECM) and document management solutions that can automate the document workflows related to credit application processing, booking, accounts payable, contracts management, and more. With integrations to electronic forms, e-signature platforms, and business systems like Great Plains or Salesforce, you can keep your documents and workflows digital. Automating data extraction from the fields of the document can save time and reduce errors while helping to reduce the log jams at the end of the month. Invoices vary in size, and getting a head start, particularly on the larger documents, can save a significant amount of time at months-end. We offer advanced data capture and optical character recognition (OCR) software to reduce data entry, improve data accuracy, and increase efficiency. It is important to routinely examine your operations and monthly workflow process in order to identify areas for continuous improvement. Eliminating outdated and unnecessary tasks can put you in a far better position to handle peaks in volume. Contact MTS Software Solutions for a consultation on how you can improve and automate your processes so that your company can do more…with less work, less stress, and less risk than your competitors. Celebrate World Paper Free Day! Train users. Grow your solution. Expect returns.